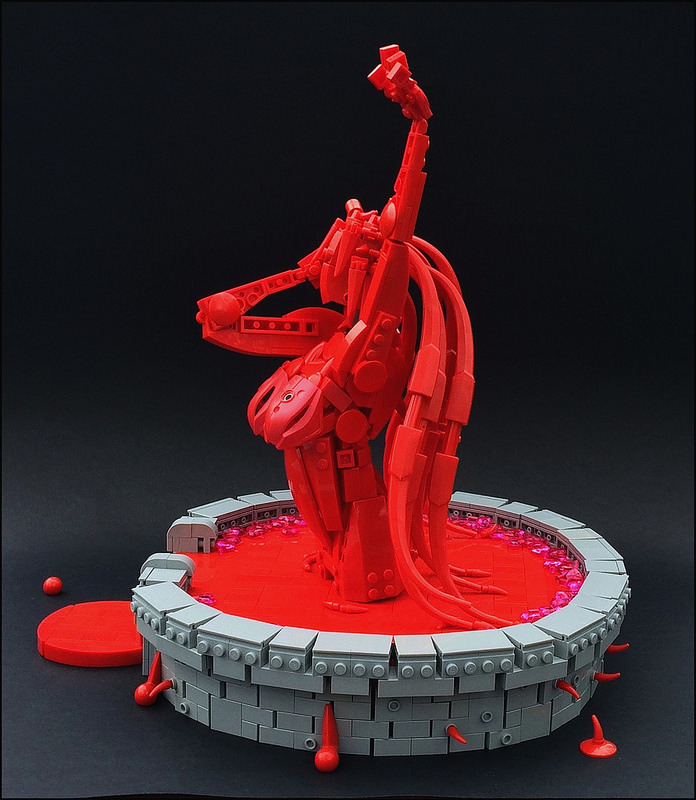 Russian builder Timofey Tkachev has been on a roll lately with some great creations, but now he follows up his two lighthearted creations of a man working out and a builder’s living room with this discomforting yet enchanting sculpture of a blood fountain, shaped as a girl. The grace of the figure is both complimented and contrasted by the sinewy and visceral texture of its body, which may symbolize how close we really are to our darkest side. It is important to point out the stone base as well, which completes the creation and gives it a fantasy feel, reminding me of the aesthetic of Blizzard’s Diablo games.